Unexpected problems can sometimes occur when you buy, sell, lease or own property on your own or with someone else. 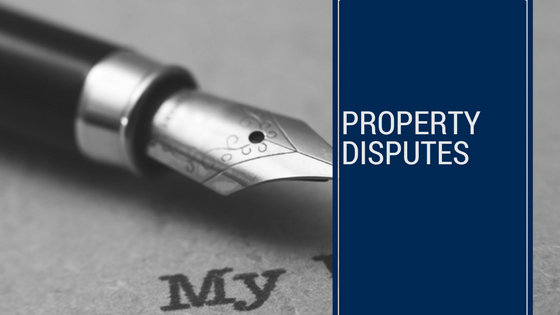 We have been there for many past clients and have the knowledge and experience to help resolve property disputes – whether by simple advice, some stern letters on your behalf, mediation or going to a tribunal or court. We know the law, the rules and the ways that work to resolve such disputes as quickly and as inexpensively as possible. See us early before things (and costs) get irretrievably out of hand.